HoloGrid: Monster Battle™ AR Kit Edition is ​a new Augmented Reality tactical strategy game by HappyGiant & Tippett Studio, and inspired by the famous Star Wars "HoloChess" scene Tippett created some 40 years ago. It combines elements of Chess and other tactic​ and CCG​ games​ and uses Apple's new AR Kit on supported devices. Download here! 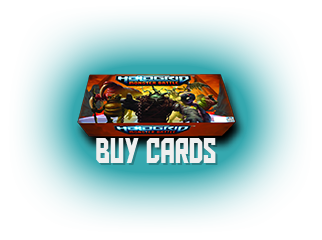 HoloGrid: Monster Battle™ is a hybrid CCG/turn-based tactical strategy game, brought to you by Tippett Studio and HappyGiant. With the goal to defeat your opponent's Champion, the game uses team and spell based combat, ​and is set on a virtual​ tabletop-like playing board, allowing intense battles to take place. Available for iOS, Android mobile devices, and Samsung Gear VR. Supports cross-platform multiplayer. The game matches take only 10-15 minutes, so you can play a quick session or multiple matches in no time. The game is for made for 2 players/teams. Phil Tippett lead the animation team at Industrial Light & Magic before creating his own studio in 1984. With expertise in creature design, stop motion animation, and Computer Graphics, Tippett's varied career in visual effects has spanned more than 30 years and includes two Academy Awards®, six nominations, one BAFTA award and four nominations, two Emmys, and the prestigious Georges Méliès and Winsor McCay awards. ©2017 HappyGiant, LLC and Tippett Studio. All Rights Reserved.